An Exclusive and Special Update! New FPMT Basic Programme (BP) starting in September 2016! Welcome to another update from Root Institute currently roasting in the summer heat of Bodhgaya! 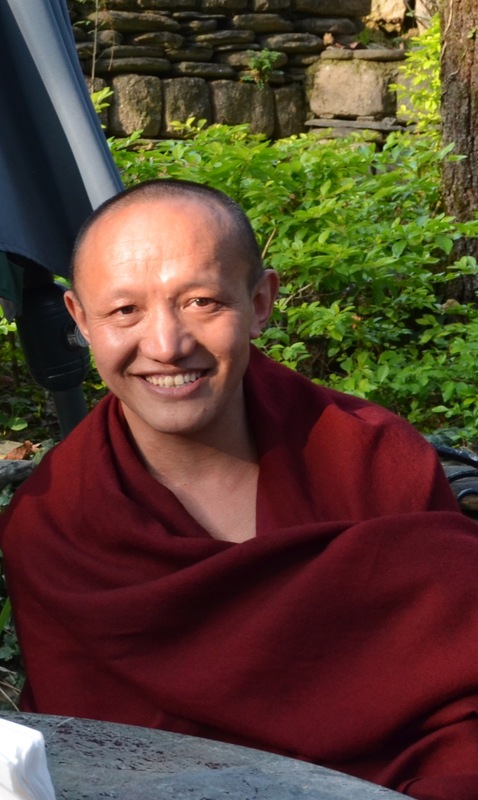 We were excited and delighted to welcome our first resident teacher, Geshe Ngawang Rabga, a Lharampa Geshe from Lhowa Khamsten at Sera Je Monastery in March 2016. Shortly after he arrived Geshela's first question to us was "when do I start teaching?" Without wasting any time Geshela began teaching twice a week on Tuesdays and Thursdays on the Lam Rim and on Sunday mornings on Lojong. He is a wonderful teacher, very thorough and knowledgeable yet very humble, open and patient with all of our myriad questions. The staff, residents and volunteers at RI and our visiting guests have been impressed by the breadth and depth of Geshela's teachings and by his gentleness and kindness. We feel very fortunate to have the chance to attend teachings on a regular basis and to deepen our study and practice of the Buddhadharma. With respect to interpreters we were fortunate to have the visiting Sera IMI monks, Ven. Legstok and Ven. Khedrup and the resident interpreter of Chenrezig Institute, Ven. Yaki help out till our interpreter Anastasiia Stoliarova showed up. Ana is a graduate of the 2015 Lotsawa Rinchen Translator's programme and this is her first assignment. In addition we have the good fortune of having Ven. Thubten Dekyong. (Ven. Tsenla) residing at Root Institute for one year. She is a well-known senior nun in FPMT, a very close disciple of Kyabje Lama Zopa Rinpoche, the sister of Yangsti Rinpoche and a BP graduate. 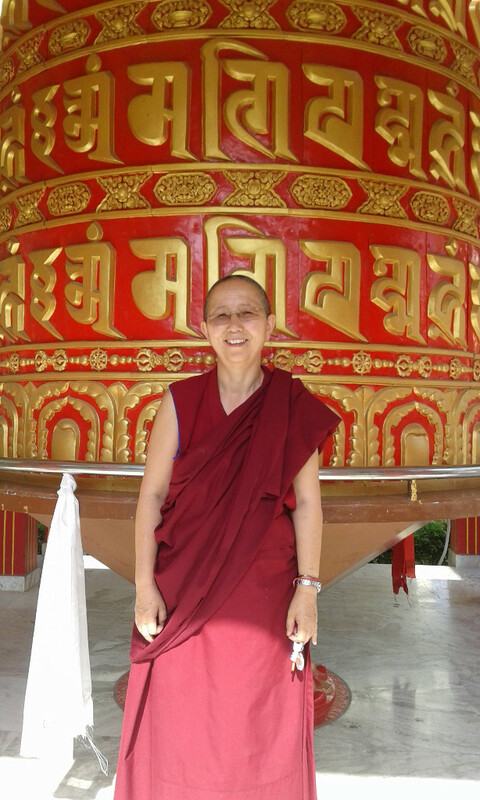 She has been appointed as the new Project Manager of the Maitreya Buddha Bodhgaya Project and has very graciously accepted our request to be Geshe la's interpreter for the Lojong teachings on Sundays. In addition she leads our monthly pujas. Our most precious Holy Guru, Kyabje Lama Zopa Rinpoche had indicated to us that Root Institute was now ready to offer the BP Programme. Thanks to Rinpoche's blessings and Geshe la's arrival we are able to offer our first ever FPMT BP Programme at Root Institute starting this September 2016. It will run for a period of 5 years for eight months of each year. For details of the BP program, the subjects and the texts please click here. Finally we are still looking for a Spiritual Programme/BP Coordinator and a BP tutor to round out our team at Root Institute. The applications are also available on our website here: http://www.rootinstitute.com/about/position_openings.html Please pass on the information to whomever may be interested. In the meantime we look forward to seeing and serving you at Root Institute. Please feel free to drop in to listen to Geshela's teachings if you are in the area. A full update of our season including our long life celebration and tsog offerings for Kyabje Lama Zopa Rinpoche and an update of all our projects will be described in our next newsletter. 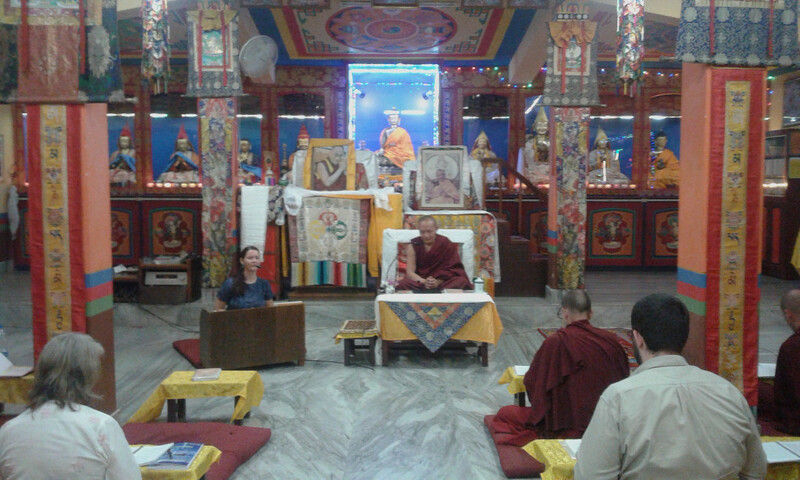 FPMT BP Programme at Root Institute by making a Donation. Copyright © Root Institute for Wisdom Culture, April 2016. All rights reserved.